It’s morning at camp. Looking around you might not think anybody is around. But, in the dining hall, a small, dedicated group of staff is preparing for the day. They talk about the group that’s on their way to camp – where they’re coming from, what they’ll be doing, and what they want to get out of their time at Camp Takodah. Not long after, a bus full of eager students arrives at camp. Before they get off the bus, they are welcomed to camp, and when they step off the bus, another outdoor education program begins! In 2018, Outdoor Education saw a huge variety groups through its spring and fall seasons. Between youth groups, retreats, weddings, and school groups we’ve seen over 40 groups this year! We welcomed local schools like Fuller Elementary School and Walpole Elementary School, as well as those from further away, like the British International School of Boston. The British International School actually stayed at camp for a full five days this spring, and they got to explore just about every aspect of camp. 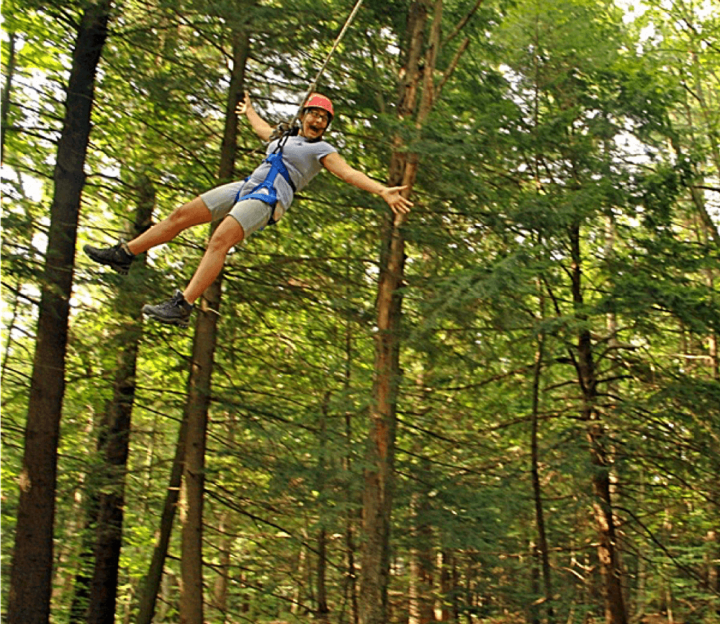 The 30 students, many from Europe and some from Boston, worked together to build fires, canoe, complete team-challenges and low ropes elements, and challenged themselves to ascend the high ropes course, ride the zip-line, and even hike Mount Monadnock! On their final night at Camp, the students gathered around a fire for quiet group reflection. Thinking about their fears and worries, they picked up small sticks to represent those fears. Then, sharing their fear with the group, they dropped their stick into the fire. Most outdoor education groups do not stay for as long as the British International School. Some groups may only be at camp for four or five hours! Regardless of how long they spend with us, every student leaves camp knowing that they’ve challenged themselves, and a developed a greater sense of belonging in their community. In this way, the Takodah YMCA is very proud to serve our community in Outdoor Education.